Kitchens of the Great Midwest has a very unique heroine. Eva is larger-than-life—physically, for one thing; but also in her capabilities and talents, her confidence and her success, and in her attitude that keeps her down to earth, even at the peak of her culinary stardom. There is no doubt that Eva’s experiences, shared with readers from different narrators’ perspectives, shape who she is and what she is able to accomplish. Certainly her skills were nurtured. It’s also evident that nature plays a factor. We learn in the first chapter that Eva’s father, a chef, passes away when she is an infant. Her mother, a sommelier, flees their family, unprepared for the responsibilities of motherhood. Eva is promptly adopted by an aunt and uncle, and raised lovingly. Without a doubt, though, her biological parents continue to play a part in her life into adulthood. Adoption is complicated for individuals, families, and their communities. 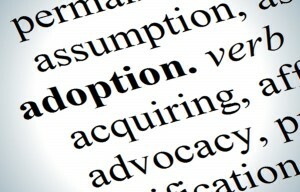 On Tuesday, February 16th, our expert panel will discuss the Adoption Process in detail. A new law, allowing adoptees access to their original birth certificates, went into effect in Colorado on January 1st. The law makes Colorado a pioneer of adoptee rights. Our panelists can address how much this changes things for people seeking answers in our state. Our other programs this week include Fargo, showing at the Central Library Sunday, February 14th at 1:30 pm. Fargo, a tale of murder gone awry, showcases the epitome of the Midwest. Readers also have three opportunities to discuss the book. We’re sure you want to talk about the book, so please join us! See our events calendar or program guide for all book discussions and programs.